For title services Rockville, MD residents recommend, come to Eastern Title and Settlement. We’ve been in the business of helping buyers, sellers, and agents carry out successful real estate transactions for decades. The title services we offer range from comprehensive title searches to setting buyers up with the perfect title insurance policies. We’re confident we can help you no matter what title service you have in mind. Reach out today to discuss your unique needs with an expert. 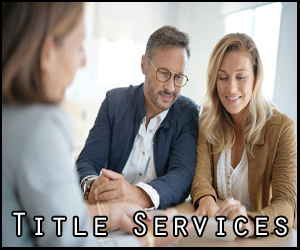 What Title Services in Rockville, MD Do We Offer? Title insurance. A title insurance policy can protect you from serious financial loss in the event of a defective title or invalid mortgage loan. Title insurance defends against lawsuits, or pays the legal fees if necessary. Our title services include owner’s, lender’s, and construction loan policies. Land titles. A land title describes the right a person has to a piece of property. Land titles give details such as any liens or easements against the property, as well as any natural resources on the land. Eastern Title and Settlement can create, obtain, and transfer ownership of land titles as part of our services for Maryland citizens. Title searches and examination. It’s critical to feel confident in your title research. Proper professional title services can help you detect illegal deeds, forgeries, encumbrances, easements, and public record errors. Help from a pro could prevent serious title or boundary disputes down the road. Other residential and commercial title services. Whether you’ve staked interest in a residential or commercial property, our title experts can help. Our staff can handle cost estimates, escrow services, closing services, and more for buyers and sellers. We have everything you need in one place. Eastern Title and Settlement knows exactly what title services Rockville, MD residents require. View our services to learn more about the specific ways in which we can help you with titles during real estate transactions. If you don’t see the title service you’re looking for on our list, don’t hesitate to contact us with a specific request. With more than 20 years in the industry, we can handle pretty much all real estate services in Maryland. We don’t expect most sellers, buyers, or even real estate agents to be title experts. There’s a reason title companies exist – to bridge the gap between what most people know and what they need to know for a successful title service or transaction. If title services are out of your league, don’t worry. You’re not alone and you don’t have to handle titles by yourself. Our professionals are waiting in the wings to provide trusted, high-quality title services. We’re here to help you with every step of your realty process. Get an estimate today! If you have any doubts about your ability to transfer a land title, conduct a thorough title examination, or purchase the perfect insurance policy, don’t risk your financial future. Entrust your title services to our professionals. Otherwise, you could make a common mistake, such as purchasing a property with hidden liens or missing heirs. With Eastern Title and Settlement, you can rest assured your title services are handled properly and effectively. We have the resources, knowledge, and manpower you need for easy and exceptional title processes. Why Choose Us for Title Services in Rockville, MD? Don’t underestimate the importance of a clean title during all types of realty transactions. The title is an integral aspect of all purchases and sales. Our team has experience handling complex land titles and purchase agreements in English, Spanish, Chinese, Vietnamese, and German. We’re confident we have what you seek. Call (240) 403-1285 today to learn more about Eastern Title and Settlement’s professional title services, Rockville, MD residents!